Eye surgery has become a common procedure with the advancement of technology and most people are opting for it to correct their vision problems. Eye surgery has many benefits to the patients however it is important to research both the benefits and the risks of eye surgery. This should be done by discussing with the doctors and family about the risks involved in the procedure before going ahead with it. Eye surgery can be intraocular or extra ocular. The intra ocular procedures are the ones that deal with the inside areas of the eye, while extra ocular ones are the ones that take care of whatever affects the outside of the eye. These procedures can be corrective or cosmetic in nature. They include laser surgery to correct visual problems and cosmetic muscle surgery to lift eyebrows, correct strabismus etc. In the U.K, eye surgery is very safe and reliable. In most cases, the procedures are successful and the patient walks home without any major side effects. No surgery is 100% without risk hence one should be aware of the risks that are involved in the procedure. The following are some of the things to consider before getting eye surgery. Most of the risks are common in intraocular operations, which involve vitrectomy or the removal of cataracts. During an operation in the inside of the eye, the surgeon cuts deep inside the eye thus the risk of having an inadvertent tear in the retina is very high. This results in the detachment of the retina that can lead to blindness or some visual loss. The chances that the patient gets a tear in the retina are within the range of 1-3 %, but the advancements in technology have reduced the odds. Eye surgery is a very risky procedure that requires a lot of sanitary and medical attention. One of the biggest risks involved with eye surgery is infection. This can occur if proper care is absent during and after the surgery. Most of the infections occur shortly after the procedure and they can lead to damage of the retina by harmful bacteria that access the inside of the eye and can cause blindness. 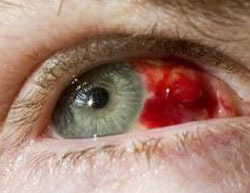 A damaged retina cannot be able to see even after the infection heals. Intraocular operations are very delicate and a surgeon with the necessary skill should conduct them. If not properly executed, they can result in bleeding although most bleeding in to the eye is self-limited. This is not a very common risk, but in the cases where cataract formation combines with an intraocular surgery following it, the risk is common. The pressure of the surgery can be high or low during the procedure, thus resulting in complication. This is the experience of pain and decreased vision after a surgery, though with advanced technology, it is not very common. It is most likely to occur after having a cataract removal or from vitrectomy. The pain is treatable with antibiotics and pain medication, however, concerns about pain from eye surgery should be reported to the surgeon immediately.